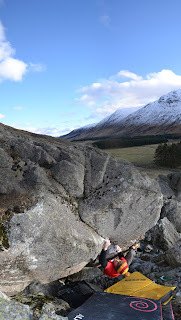 Yesterday, James, Mhairi and I headed back to Glen Clova to sample some more of the awesome bouldering that this picturesque glen has to offer. We all got some good problems sent and also opened up some short term projects. 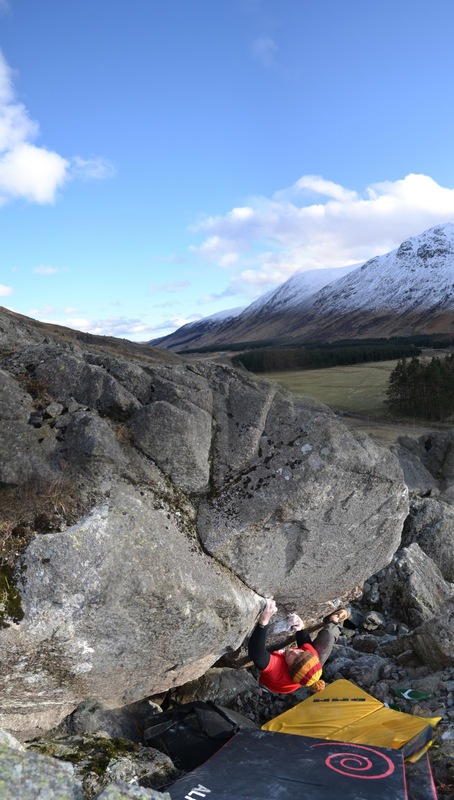 It was pretty cold, with a chilled breeze blowing down the glen over the snow capped hills. But this made for good friction and an awesome view. James brought his new camera along, and as you can see from the pictures below, he is definitely getting the hang of it! Recently I have had a few trips down to Kyloe In and Out. 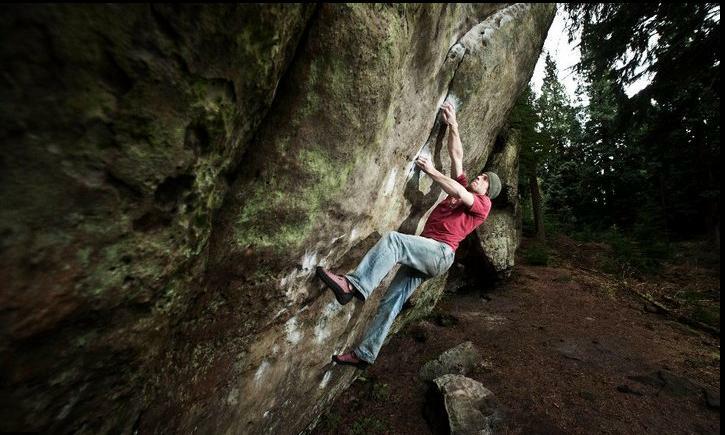 Over the past week James, Andy Moles, Sean Bell and I have made a couple of trips south to sample some of the awesome bouldering thats hiding in the woods in Northumberland. 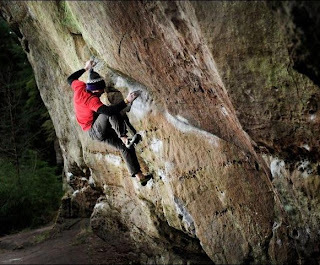 Having only been to Kyloe (In) once before, it was good to get stuck into some of the classic problems that this venue has to offer. After a good day on Friday, James, Andy and I headed back down on Monday and this time we spent the morning In the woods and headed to Kyloe (out) in the afternoon. 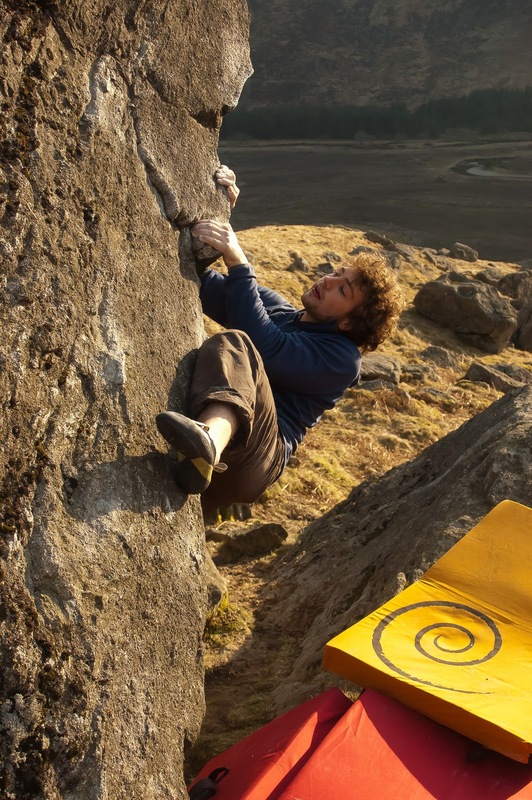 Unfortunately some of the steeper stuff at (out) was a bit smeggy, so we stayed on the dry slabbier problems, which offered some fun smearing and testing mantles. On Sunday, I met up with Erik for an attempt to go winter climbing. We drove up early, but when we reached the snow gate at Cairngorm it was shut, and the staff member manning the gate said due to excess snow fall he doubted it would be open to head up all day. So we opted for the long walk and set off up the hill on foot. It was a pleasant walk, and didn’t take us long to reach the top car park. 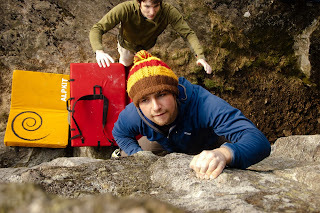 But after a lot of persistence and wading through chest deep powder, we decided to have a quick bite to eat behind some sheltering trees and then bailed back to Aviemore for a coffee. 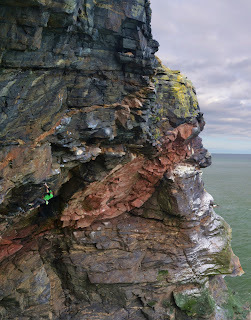 If the wind had not picked up, we probably would have trudged on and got a route done. But the enjoyment soon got taken away when the snow started to blow around. I you don’t try, you don’t get! 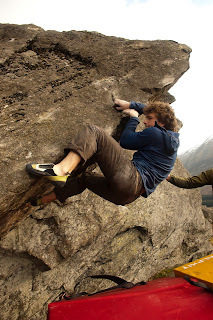 It might be time to keep the rock boots on!!!! Over the past week I have been making the most of the sunny dry conditions. 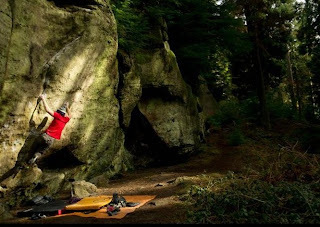 The trad season is swiftly approaching and it’s been good to get some training done outside on the sport routes and boulders, rather than stuck in a stuffy climbing gym! 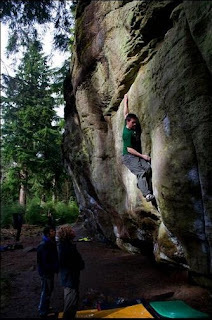 Last week I made two trips to Upper Cave in Dunkeld and got a good pump on doing some laps on the sport routes that where thankfully just dry enough to climb. 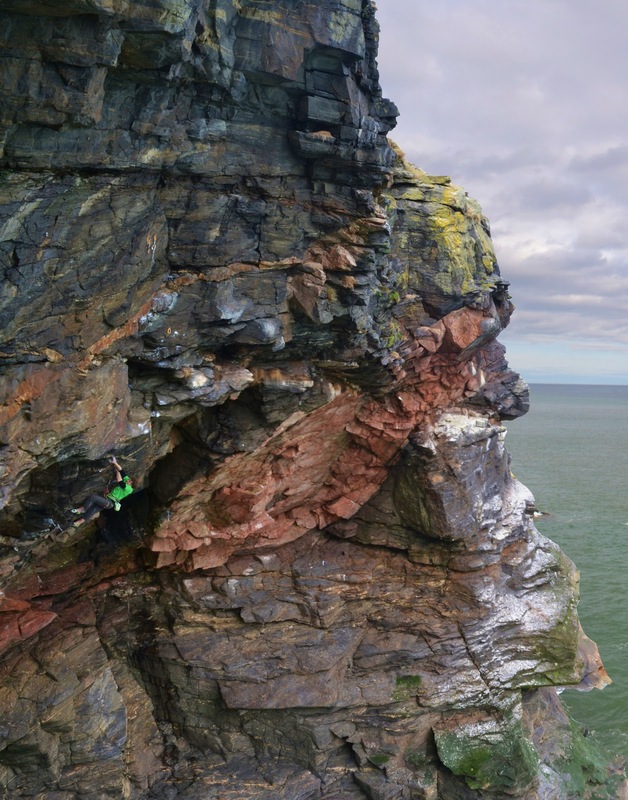 Then on Friday I headed to Orchestra Cave with James, Tweedley, Dave Redpath and my Dad for some more steep and burly sport action. Dave, Tweedley and I all tried the first half of Dangleberries which was dry up to the big roof. 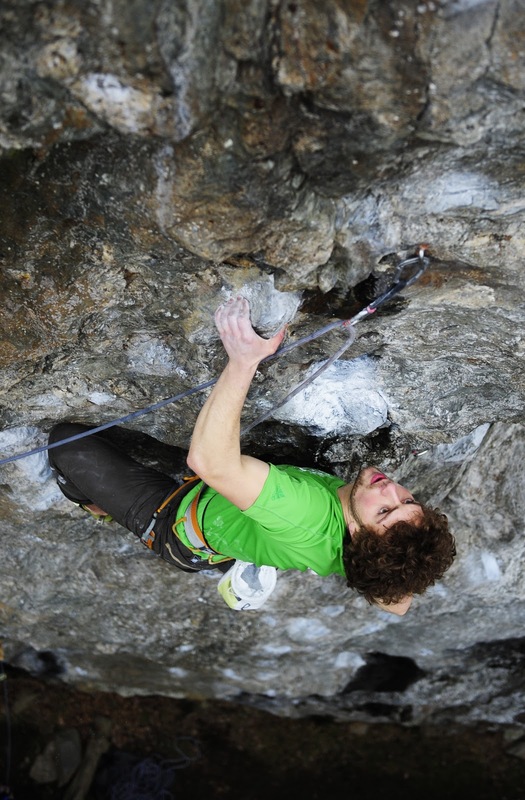 This was a mega route which was home to some steep technical moves up the grossly overhanging wall…Fun fun fun! We all seemed to be making progress on the line and I don’t think it will be long before we return for another day at this venue. My Dad and James where hanging around on ropes getting some awesome pictures of us on the steep ground. Today James, my Dad and I headed to Glen Clova for an awesome days bouldering in the sun. Thankfully there was a cool breeze blowing over the snow covered slopes further up the glen which made for some good friction. 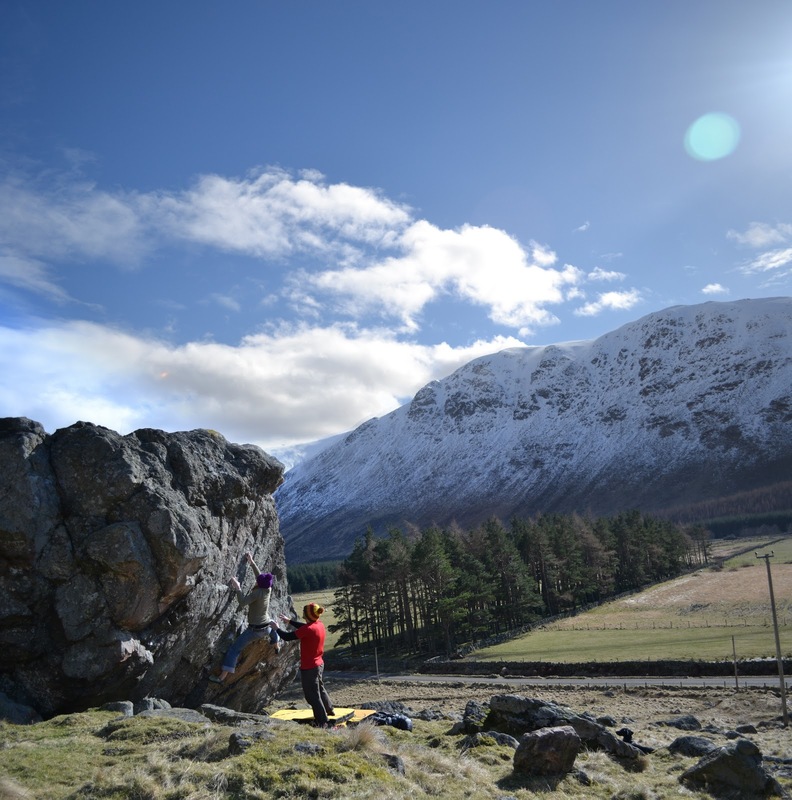 This was the first time I had been bouldering in Clova and it didn’t disappoint. 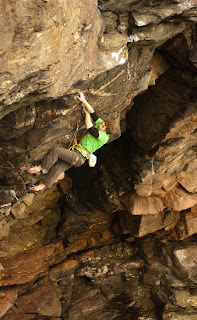 We only went to one of the three recorded areas in the glen but what we did was good fun and had some hard problems on offer. 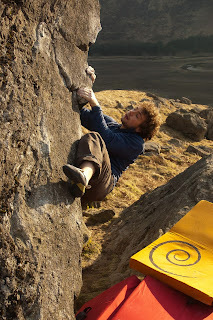 We started on some easier stuff and worked our way through some of the best problems in the area. 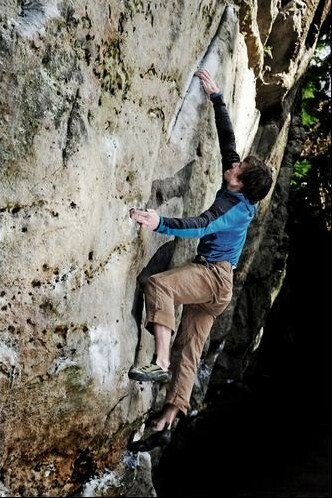 Between us we did a range of problems from V1 to font 7a. 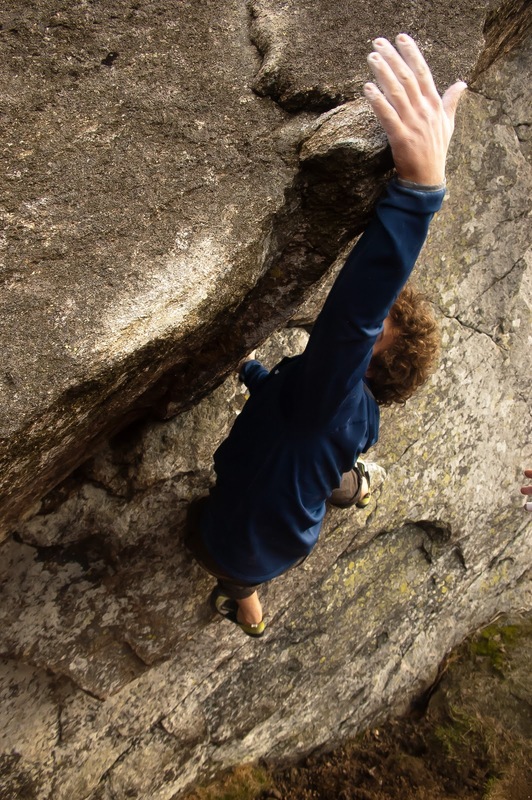 I’m really enjoying the dry weather and I’m starting to get really psyched for the summer rock season. Bring it on……..